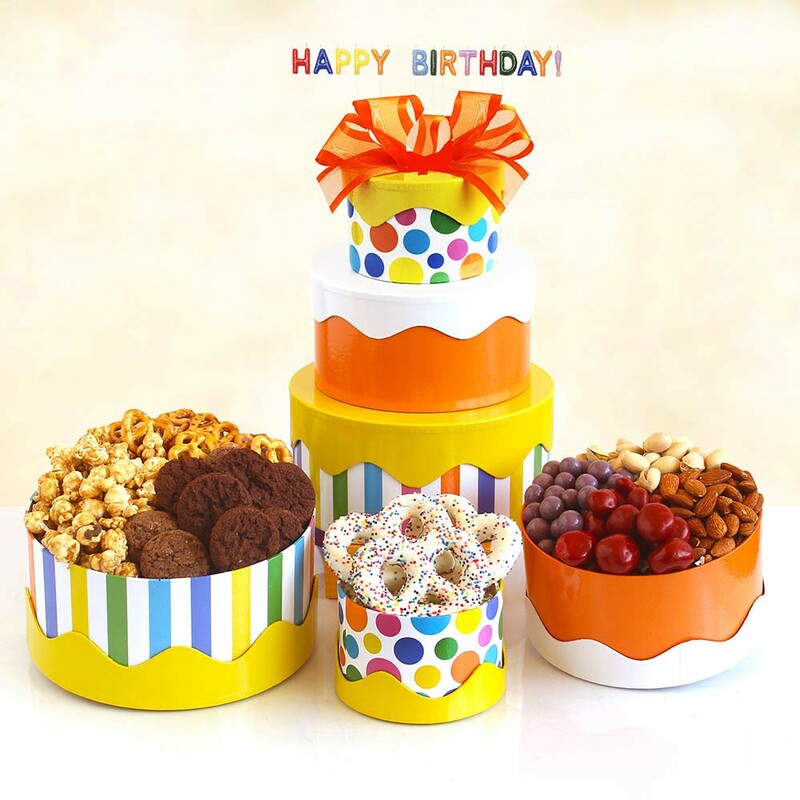 Send them a sweet Birthday celebration all wrapped up in a colorful birthday tower. Filled to the brim with their favorite goodies. Enjoy chocolate-covered almonds, rich Godiva truffles, chocolate-covered cherries and blueberries, shortbread cookies, chocolate and toffee covered pretzels, and delicious caramel popcorn. This tower is finished off with a colorful splash of ribbon and a big bow on top. They will be amazed and delighted!